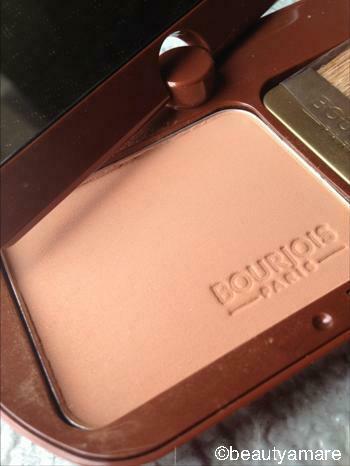 I have been eyeing this bronzing powder for quite sometime now because of its reputation over the internet. It is an interesting fact to me that this brand is owned by Chanel or vice versa. I have an NC25-30 skin tone so a little bit bronzing powderwill help my pale skin. I bought this in color 12 for fair/medium skin at SGD26.00 (Php910.00-Philippine peso) in BHG Bishan Junction 8, Singapore. My first concern is if this will suit my overly sensitive skin. 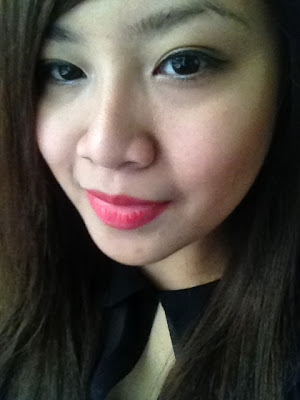 Allergic Reaction: This is my first time to use a bronzing powder and so far serves well to my very sensitive skin. Yey! The packaging itself is worth the money which comes with 360° pivoting panoramic mirror and a brush. I am using my own brush since the texture of the brush is quite rough for me. I am not really a fan of bronzing powder since I find some people looks so muddy and orange-y on it but I am loving this because it gives me a natural sun-kissed glow. . For me who is not using any powder or basic foundation, this is easy to blend on my natural skin color, not shimmery, looks matte to me but I realized yesterday that it's too pigmented so take note to tap the excess first before dabbing to your face. This is my first time to use a bronzing powder and I am quite impress. 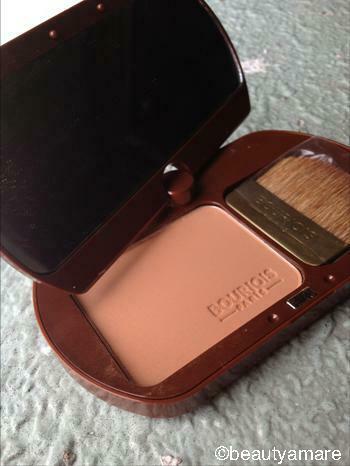 And before I forget, the smell of this Bourjois Délice de Soleil Bronzing Powder is amazing. It really smells like hot chocolate. I will definitely buy again. A high end feel at a very affordable price. Available in 14 for olive/tanned skin. To know more about Bourjois products, please click this LINK.